Freshen up your car with Turtle Power! 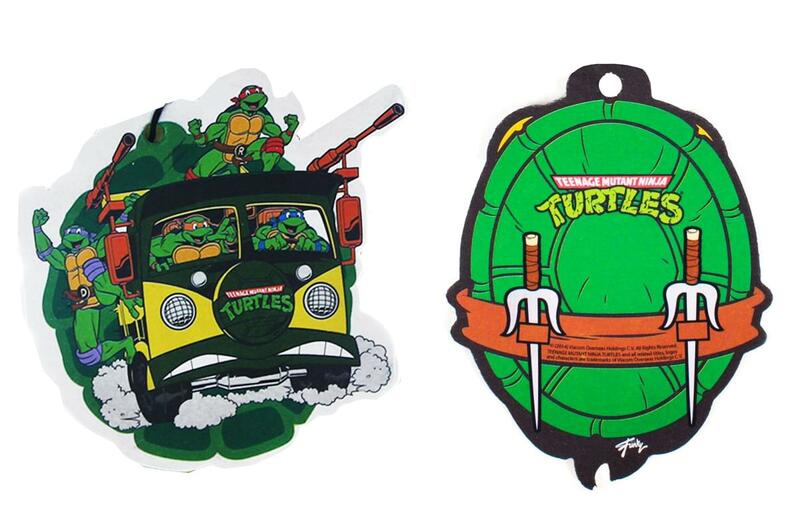 This fun bundle includes two (2) Teenage Mutant Ninja Turtles air fresheners. Designs include the four Turtles riding in their Turtle Van and the TMNT shell logo. Both air fresheners feature a delicious vanilla scent and include a string for hanging. Sure to make a great gift for your favorite TMNT fan!